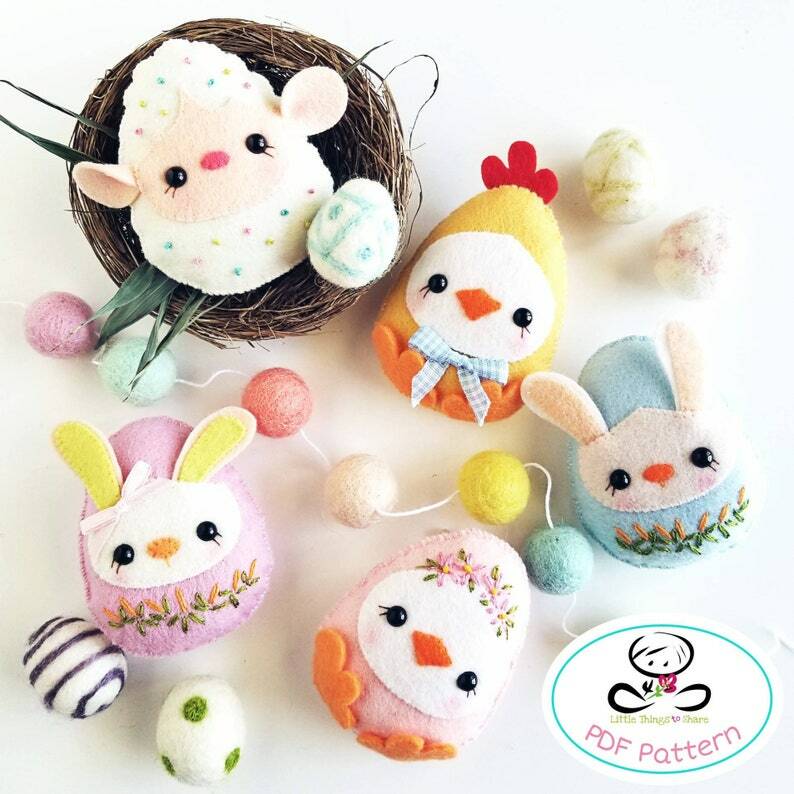 This PDF document will give you instructions and patterns to hand-sew these THREE adorable BABY EGGS. These 3-inch, super cute, egg shaped animals are perfect as party favors or this year's Easter Egg Hunt for the little ones!! As always, easy, quick, and fun to make! Adorable, easy to download. I want to start making them today, I want to put them in an empty egg carton and give them as gifts to the family.